What is the Right Replacement Part for My Grill? 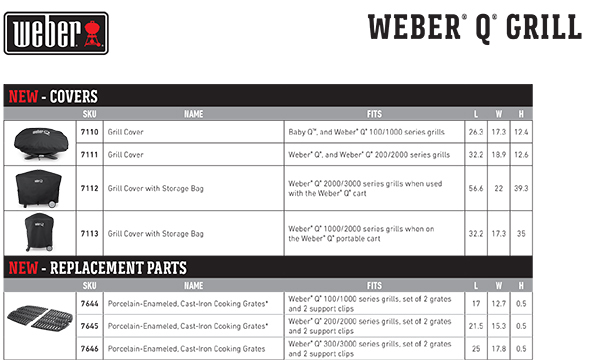 A frequently asked question from our fans is what is the right replacement part for my grill? 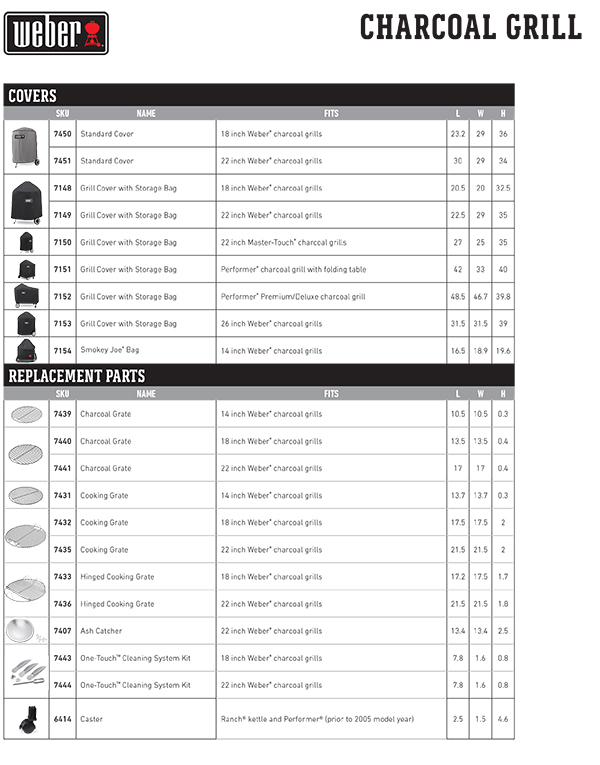 Often time’s people ask us what is the correct cover, grate or Flavorizer bars for their grill so we put together a replacement part chart broken down by Q grills, gas grills and charcoal grills. For each item, the “SKU” is the part number which can be ordered through our website or customer service call center. Our call center is available every day at 1-800-446-1071. 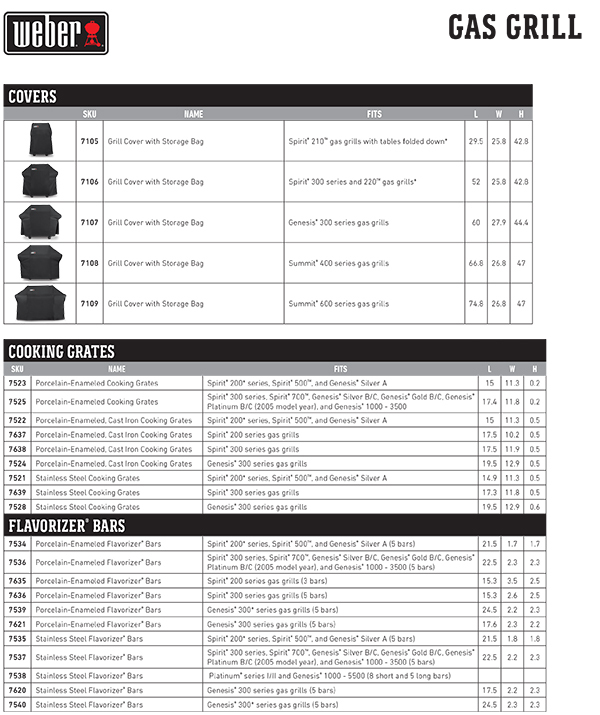 Click here to order your cover, grates or flavorizer bars!